ORLANDO, Fla., Dec. 4, 2014 (GLOBE NEWSWIRE) -- RedChip Companies, Inc. ("RedChip"), an international small-cap research, investor relations, and media company, receives top praise for its performance from its long list of distinguished microcap and small-cap clients. "RedChip has been instrumental in raising our profile among both savvy institutional investors and retail investors that are looking for differentiated and unique companies. RedChip has developed a unique combination of providing targeted media exposure and investor relations support for emerging companies." "After engaging RedChip, we realized increased trading volumes and an expanded shareholder base. The TV show was a great complement to our IR initiatives, and we were impressed with RedChip's ability to drive results." "I work with many of the companies that would be RedChip companies. And we certainly ascribe to the same view that RedChip Companies do, which is 'discovering tomorrow's blue chips today.' NASDAQ is truly pleased to be a trusted partner of RedChip, to help them increase your visibility, not only for RedChip, but most importantly, also for all those companies that you serve." "I value our relationship with RedChip. I have nothing but praise for the RedChip team. Their platform is innovative and effective. I strongly recommend them for any serious smaller-cap company that needs exposure to Wall Street's institutional and retail investor community." "I have appeared on the RedChip Money Report TV show four times. Dave Gentry, the host, is professional and engaging. I strongly recommend this show for CEOs who want exposure to thousands of microcap investors. 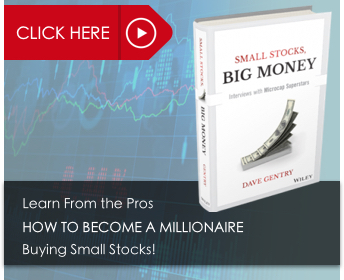 There is a very tangible benefit of appearing on RedChip's 'Small Stocks, Big Money.'" "I appreciate the RedChip Team. They were the first investor relations firm to truly understand our story and position us properly to microcap investors. They seem to know all the small-cap investment banks, family offices, and fund-managers that buy smaller companies. Their media platform is the best I have ever seen for companies with market caps of $500 million and under. I recommend them highly." "Finally, a high quality small-cap TV show with the RedChip Money Report. It's the best small-cap TV show in the business by far. I give my 100% endorsement." "Whether delivered over Skype or live from the Orlando studios or during a conference -- RedChip has helped increase awareness of Lightbridge's prospects as a developer of next-generation nuclear fuel technology and global advisory services. Moreover, we have been impressed by Dave Gentry's thorough grasp of our business model and his effective communication of our strategic goals." "I am very pleased with RedChip. Their ability to generate quality one-on-one meetings with small-cap funds and retail brokers is impressive, particularly when matched with their research report and conference platform. I would strongly recommend them to any small-cap company, listed or bulletin board, who needs professional and systematic investor relations services." 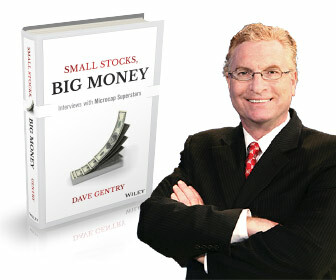 "We saw an excellent response to the interview with Dave Gentry, with many favorable comments. The posted interview immediately received hundreds of YouTube views. I suspect the number will be in the thousands over time." "I am very pleased with the product produced by RedChip TV. Through the interview, which we have aired three thus far, we have increased our retail holdings significantly. We also use the A+ quality video for marketing purposes. I strongly recommend RedChip TV to microcap companies who want exposure to qualified high net worth individuals." "As we enter a period of strong revenue and earnings growth, we believe it's time to take a more proactive approach to our investor outreach efforts. Having firsthand experience using RedChip's conference platform, we are pleased to have selected their organization to spearhead this initiative. Since my first interaction with RedChip I have been impressed with the professionalism of their organization and the quality of the retail and institutional investors they introduced. They have a solid track record of success in building long-term investor relationships for small-cap companies, and we are confident their robust communications platform will have a positive impact for Asure." "The team at RedChip has been professional and great to work with and have helped us expand our retail investor exposure. The Research Report produced by RedChip was extensive and provided a thorough background on our business and key investment drivers for our sector. Since launching with RedChip, we've seen our trading volume and our market cap increase and believe that the expanded investor exposure through RedChip has contributed toward NovaGold being one of the top performers in our sector for that period." To stay up-to-date on the latest developments of the top names in microcap and small-cap stocks, download the RedChip Money Report Magazine app. To learn more visit: http://bit.ly/RAD_1. RedChip Companies, an Inc. 5000 company, is an international small-cap research, investor relations, and media company headquartered in Orlando, Florida; with affiliate offices in San Francisco, Pittsburgh, and Seoul. RedChip delivers concrete, measurable results for its clients through its extensive global network of small-cap institutional and retail investors. RedChip has developed the most comprehensive platform of products and services for small-cap companies, including: RedChip Research™, Traditional Investor Relations, Digital Investor Relations, Institutional and Retail Conferences, Virtual Conferences, "The RedChip Money Report: Small Stocks Big Money"™ television show, Shareholder Intelligence, Strategic Marketing, Crisis Management, Social Media and Blogging Services, and Webcasts. To learn more about RedChip's products and services, please visit: http://www.redchip.com/our_services.